So, you’re thinking about signing a Porsche Macan lease? You are probably pretty excited about your decision. And who can blame you? It’s one of the best ways to get a new car in Mandeville, LA. However, if you have never leased a vehicle before, you may have some questions about how the process works. That’s why you should read up on the basics, so you know what you’re getting yourself into. Then, you can feel great about your decision to lease, and you’ll love driving off in your new ride. Many people in Mandeville, LA, don’t think about mileage caps when they first consider signing a lease. However, this is a big part of what you can come to expect, so make sure you know what the dealership’s expectations are when it comes to how much you can drive. A lot of dealerships in the area will cap you at 10,000 miles per year. When you go over the mileage cap, you’ll have to pay a set amount for every mile over you drive. That can add up fast. Therefore, if you think you are going to have to drive more than that, you should consider buying a car instead. One thing you can look forward to when you sign a Porsche Macan lease is the fact that you probably won’t have to spend as much upfront as you would if you were to buy your vehicle. Why? Since you’re not actually buying the car, you don’t have to put down a huge down payment. For those who don’t have a ton of extra money in the bank, this can be helpful. Do you want to make your ride your own? You’re going to have to get creative with it when you sign a Porsche Macan lease because you can’t make any major changes to your car. Since you’ll be returning your car to the dealership once your lease is up, the dealership won’t want you to add bumper stickers or make any other changes that may be difficult to reverse. Keep that in mind before you decide to lease, and you should be fine. 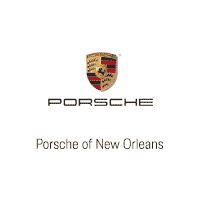 Come to Ray Brandt Porsche today to sign your Porsche Macan lease.